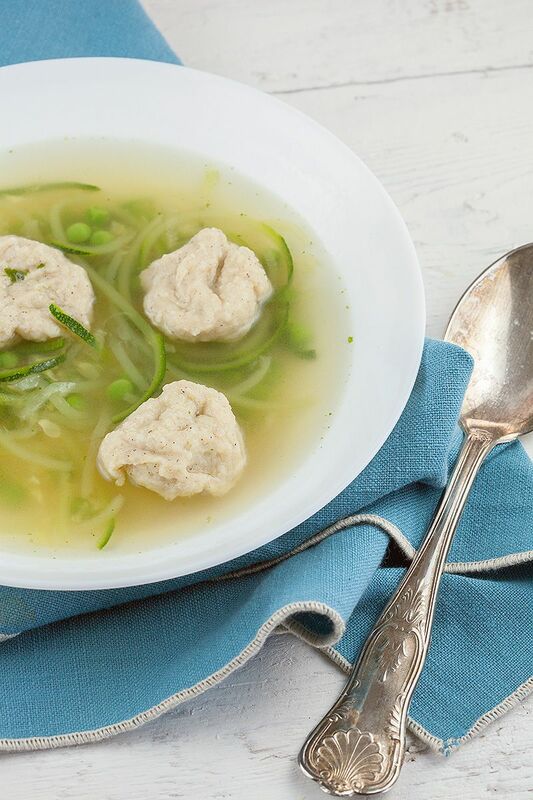 Enjoy this lovely vegetarian vegetable soup with spelt dumplings on any time of the day. 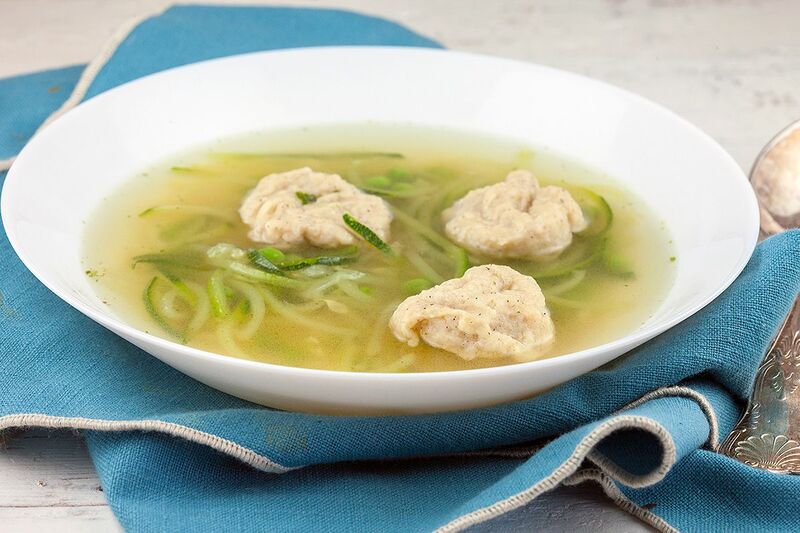 Amazingly easy and tasteful spring soup. Ready in 20 minutes. MELT the (clarified) butter and let it cool off a bit. MIX spelt flour, the egg, cream, melted butter, ground nutmeg, pepper and salt using a whisk until you’ve reached a smooth batter. Set the batter aside and meanwhile heat up the vegetable stock. 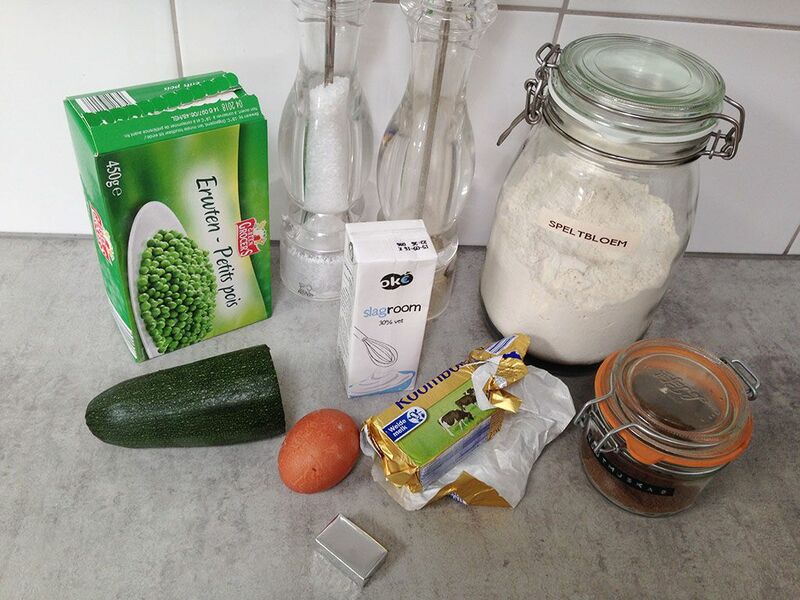 Use the spiraziler to create zucchini ‘spaghetti’ and set aside. 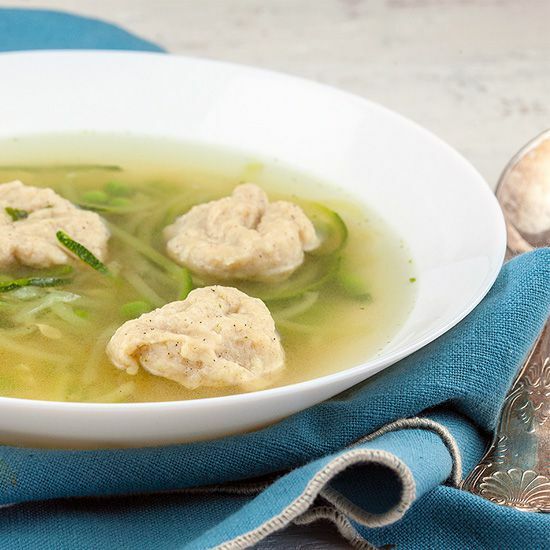 Use a wet spoon or wet hands to create a dumpling and ADD them to the hot vegetable stock. Also ADD the (frozen) peas and zucchini ‘spaghetti’ and bring the stock to a boil. Turn down the heat and let it cook for about 5 minutes. The peas and zucchini should have a little bite to them. Season with pepper and salt. Enjoy! The soup looks delicious. I have yet to try dumplings as they seem to be a bit fussy to get right according the recipes I’ve seen.